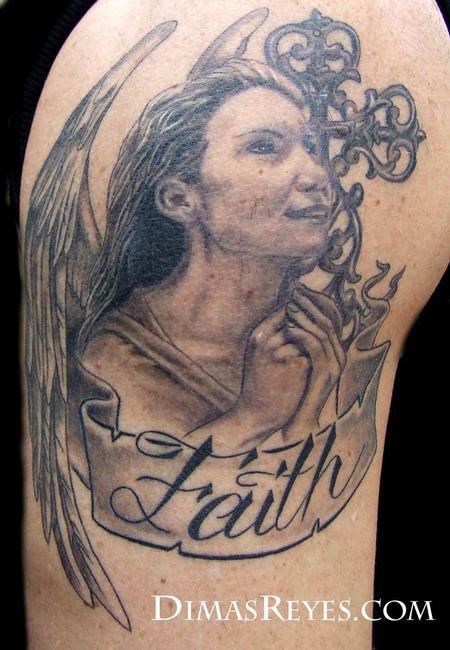 I took reference photos of this client's wife and turned her into an angel for this portrait tattoo. I enjoyed tattooing the iron cross behind her as well. Tattoos like this one are creative alternatives to traditional portrait tattoos.